When you’re starting off in the restaurant business (or any company, for that matter), it can be tough to see where your career is headed—and whether you should stay in the business at all. 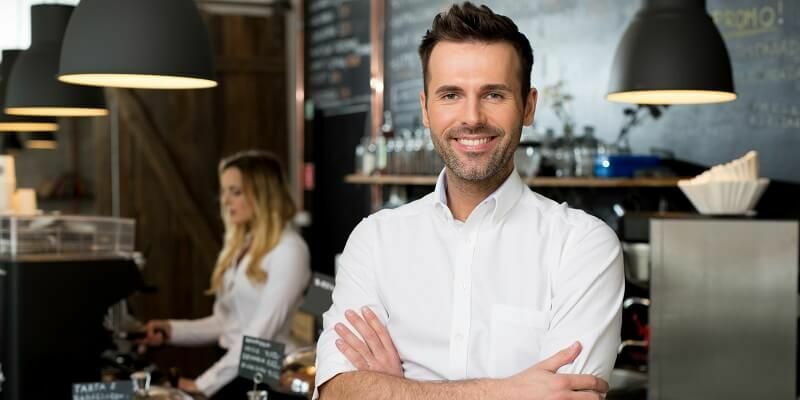 But a whopping 80 percent of restaurant owners and 90 percent of restaurant managers started their careers in entry-level positions, according to research done by the National Restaurant Association. Here are four managers and restaurant owners who did—and what their experience taught them. How he started: Poe, an Alabama native, parlayed some short gigs as a dishwasher and server into a $4-an-hour job making salads and desserts at the Auburn University Hotel and Conference Center. That job led to a sous-chef position in Atlanta, GA—and a career as a chef across the country and around the world. “I never thought I would be in the business, but instantly I was in love with every aspect of it—including the dish pit/crew,” he says. Best career advice he got: “I am a huge fan of Becoming a Chef [the award-winning book by Andrew Dornenburg and Karen Page] and have given it to most of my cooks. In the book, the authors are constantly reminding you to ‘never take the elevator—always take the stairs.’ I also had a great mentor and boss who taught me ‘It’s not how you spilled the milk; it’s how you clean it up.’ That helps to remove the stress that something just went wrong and helps me to constantly refocus on fixing the situation for the guests,” says Poe. Best career advice he got: “Show up on time for work, and remember that showing up on time is showing up early,” Tubridy notes. The career advice he gives his employees: “Do not go to school. Take a year off and get a job as a dishwasher or a busser. Learn the business from the basement up. Know early on what path you would like to do, but try and know a little bit of everything. If you are looking to open your own place, find a mentor. As competitive as this industry is, there is a huge support network, if you tap into it. How she started: Prutting’s first waitressing job, at 16, was at an assisted living center down the street from her childhood home. It was like a mock restaurant, she says, and although she enjoyed it, she didn’t think she’d make a career in the restaurant industry. But while she was going to college, waitressing was a source of income. After getting a degree in cosmetology, she decided to waitress at two different restaurants while she figured out what to do. One of the restaurants was Mimi’s Café, and that’s where she decided to stay—and soon was promoted from server to shift lead, then to assistant manager, and then general manager. Best career advice she got: “My dad told me the most important part of making a career decision is whether you will be happy to go to work every day. He said it’s important to love what you do, and I love working in a restaurant. I love the family feel the staff creates, I love how every day is different, I love the fast pace, and I love working with the community,” says Prutting. How he started: A New Year’s Eve gig as a dishwasher at 15 gave Healy a taste for the restaurant business. After graduating from college in 1976, he became a manager trainee at a restaurant in Richmond and for the next 12 years worked at 25 different places before starting his own restaurant, The Boathouse at Sunday Park, in 1988. Best career advice he got: “My first boss told me, ‘Don’t sleep with the help and don’t drink on the job.’ Who knew he was so far ahead of his time!” Healy says. Four people, four different paths—but here’s what they have in common: All four worked hard, went above and beyond, and seized opportunities when they presented themselves. So what about you? What was your climb like? Leave the secret to your success in the comments! I loved the article on the 4 restaurant owners/managers on how they opened successful restaurants. I would like to add one thing to the mix – nobody mentioned equipment financing as part of their success. We offer equipment financing for start-up restaurants as well as established restaurants and have been in business for 27 years in Beaverton, OR. Our programs are nationwide. We have an A+ rating with The Better Business Bureau and we pride ourselves in honest and ethical dealings with all our customers. As the owner, I welcome your direct calls to me at 503-626-3486. Congratulations on your success.